Dental emergencies are inconvenient, not to mention stressful! You might feel panic if you’re unsure of how to handle the situation, and there could be blood involved, which might be scary. The good news is that when you have a trusted emergency dentist in Keller to rely on, you can contact them right away so they can help you get the relief you need and back on the path to wellness. Did you know that your dentist can also help you prevent many dental emergencies from happening in the first place? Here’s what you should know! Did you know that nearly half of dental emergencies are sports related? It’s true! Another truth is that many of these injuries could be prevented with a custom fit mouth guard. A custom mouth guard offers better protection than generic guards found at the sporting goods store. It also allows you to breathe freely, so you’re not distracted from your activity. Your dentist can recommend the right sports guard for your needs that will not only protect your teeth but also keep you on top of your game in a comfortable manner. Your preventive appointments, which are your six-month cleanings and checkups can also help you avoid many dental emergencies. How? Because your dentist can detect concerns like tooth decay and cavities in their earliest stages, which allows you to treat it before it progresses into the nerve of your tooth resulting in an infection. A dental infection is very uncomfortable and can cause a severe toothache along with constant pain. Unfortunately, dental restorations don’t last forever, and old fillings, crowns, or bridges that you have will start to breakdown. During your preventive examination, your dentist will also ensure that your current restorations are also healthy and providing the function you need. You can also do many things on your own to protect your dental health. Limiting sugary drinks or snacks is one way to prevent tooth decay and breakdown of your teeth. Also being aware of hard or sticky foods that could crack a tooth or break a filling or crown should be avoided. If you want to eat a carrot, apple, or hard crusty bread consider cutting it into smaller pieces, so you don’t have to worry about breaking or fracturing a tooth when you bite into those foods. 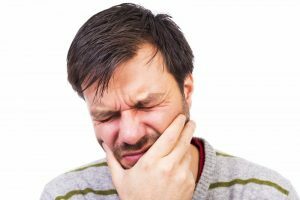 Even the most diligent patients may encounter a dental emergency, so don’t hesitate to contact your dentist in Keller if you have dental pain or an emergency. Dr. Sheri McIntosh loves taking care of patients in Keller, TX! She and her staff provide what’s known as the “Distinguished Patient Experience,” which combines old fashioned values and service with modern dentistry. You will find that even a dental emergency is comfortable and smooth at Distinguished Dental. If you would like to contact Dr. McIntosh, she can be reached by calling 817-337-8300 or through her website.